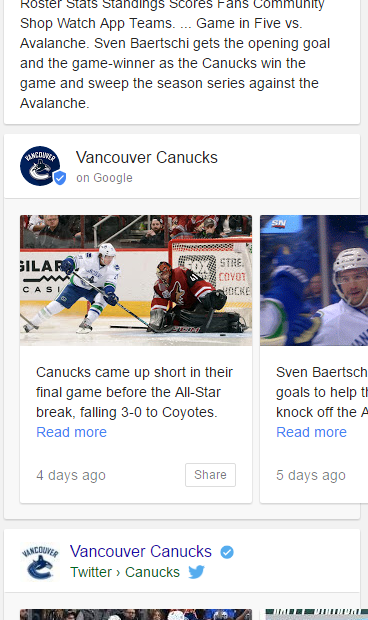 Want another way to get your content noticed in the search results? 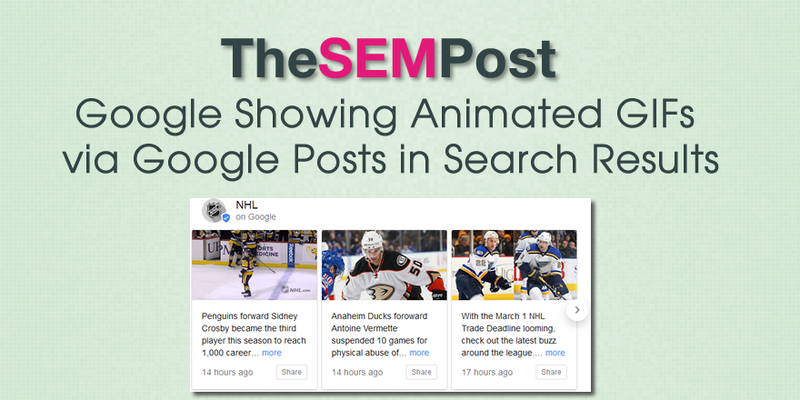 It might be a reason to dust off your brand Google Posts to do so, as Google is showing animated GIFs within the brand carousels in the search results. When you add an animated GIF in your Google Posts, when Google pulls those posts to include within the Google+ section in the search results, it autoplays those GIFs within the search results – meaning those Google+ posts are the only thing “moving” within the search results. One brand taking advantage of this is the NHL as well as many of the NHL teams. This is what appears within the search results – in this example, they have two animations showing simultaneously in the results. Here is a screenshot showing the animation in action. Clicking on it shows the larger version, again directly in the search results. Those “Read more” links take the searcher directly to the brand’s shared link, not to Google’s own page, meaning it can be an effective tool to bring new traffic into a site. 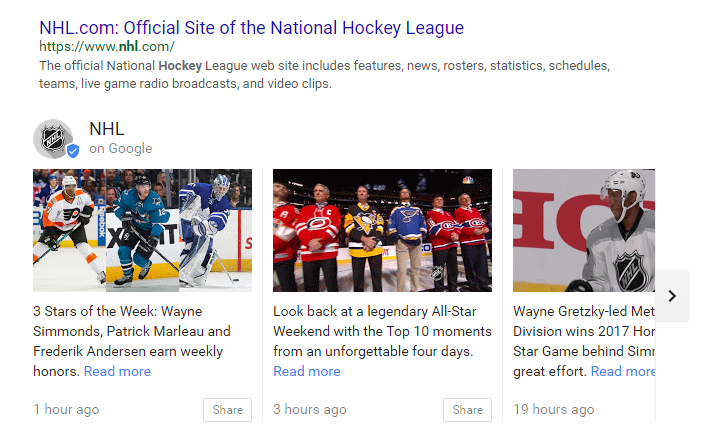 It is currently active within the search results if you search for NHL or many NHL teams who have happened to recently posted animated GIFs on their Google Posts page. 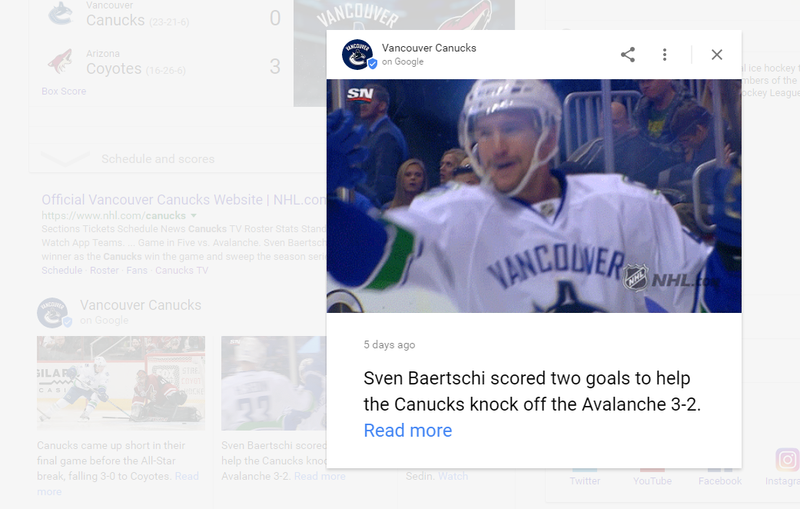 This isn’t the first time Google has shown animated GIFs in the search results, although previously they appeared as social posts within the knowledge panel.